The amount of data and the sources of data is growing at an exponential rate. Businesses need to gain additional insights from information to gain competitive advantage and make better business decisions. Data can be residing internally within an organization. For example, operational data such as customers and sales transactions may reside in an on-premises relational database system. At the same time, external social media sites like Facebook or Twitter, can provide valuable information on what customers are saying about the products or services offered by the business. To be able to make the most out of the data, businesses need to have a good control on all sources of data and also make the data available across the organization. In addition, these activities must be done cost-effectively and efficiently. 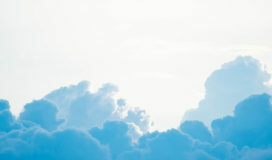 Cloud adoption is on the rise with organizations moving to cloud for a number of reasons. Businesses can save costs, since you no longer need to procure or maintain infrastructure such as buying servers or applying software upgrades. In addition, cloud service providers take the onus of managing and maintaining underlying technical aspects such as security and active directory integration, which eases the workload on the consumer of cloud services. Cloud is also cost-effective because companies only pay on usage of resources. When resource utilization changes, cloud offers the flexibility of increasing or decreasing resources instantaneously based on need. Cloud also provides for a much larger information storage capability and faster processing time. Microsoft is a leading cloud service provider besides Amazon and Google. Between them they capture the majority of cloud market share. Microsoft Azure offers the flexibility of public cloud as well as private and hybrid cloud. The choice of a cloud service provider for an organization is very important. After all, your organization is relying on the provider to manage the infrastructure (IaaS), develop and maintain your software systems (PaaS), or subscribe to a SaaS-based system. Microsoft’s Azure Data Solution is meant to be an integrated solution. From a technical perspective, this means the services between components are seamlessly integrated. From a business perspective, the solution provides a common environment for data engineers, data scientists, and business analysts.